Past Exhibits are listed in reverse chronological order. When Friends’ Asylum for the Relief of Persons Deprived of the Use of their Reason opened its doors in 1817, it offered something new to the Quakers of Philadelphia: a promise to cure insanity. The first private mental hospital in the United States, its designation as an “asylum” marked it as an institution that provided assistance to people in need. The founders of Friends’ Asylum sought to alleviate the tensions that insanity, understood as deviance from nineteenth-century standards of rationality, caused for Philadelphia’s Quaker families. Friends’ Asylum drew on techniques from a variety of traditions to cure insanity and restore patients to their families. It grounded its therapies in the culture and spirituality of Quaker communities, in contemporary ideas about health and reason, and in the expertise of medical science. 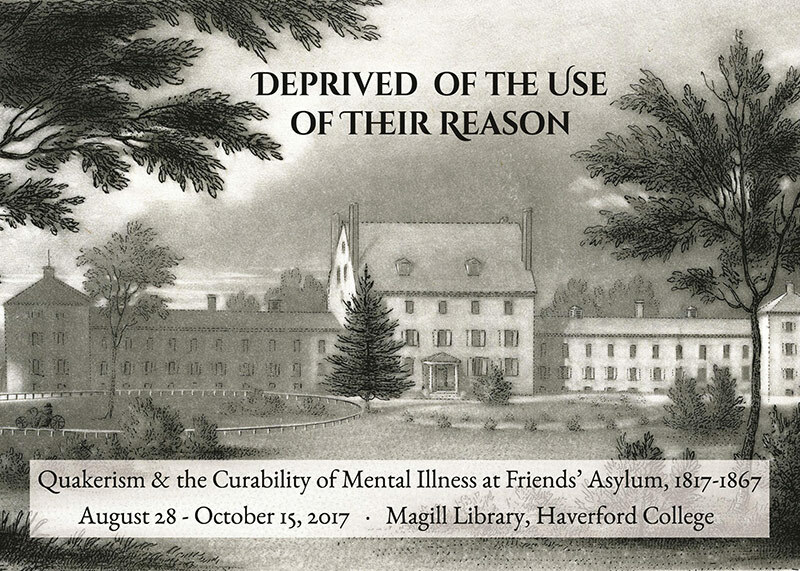 This exhibit includes Friends' Asylum records and other related materials from Quaker & Special Collections, and comes out of the Quakers and Mental Health digital project, found at qmh.haverford.edu. Expanding the Universe problematizes the conventional wisdom of rapid scientific progress in astronomy after the creation of the telescope. Instead of seeing telescopes as a solution to erroneous ideas about the universe and our position in it, this exhibition illustrates the slow progression of the telescope and of astronomy. When you consider the size of our solar system, let alone the universe, it is understandable that early telescopes would have failed to radically change astronomical ideas. The first telescopes in the early 1600s were capable of only minor discoveries because they lacked magnifying power and were inaccurate in tracking moving astronomical bodies. In observatories, the telescope was overlooked for instruments like quadrants, which were better able to determine and track the position of astronomical objects. The telescope was not the cause of radical change in cosmologies, models which demonstrate organizations of the solar system, because it lacked the sensitivity to prove Earth’s motion. 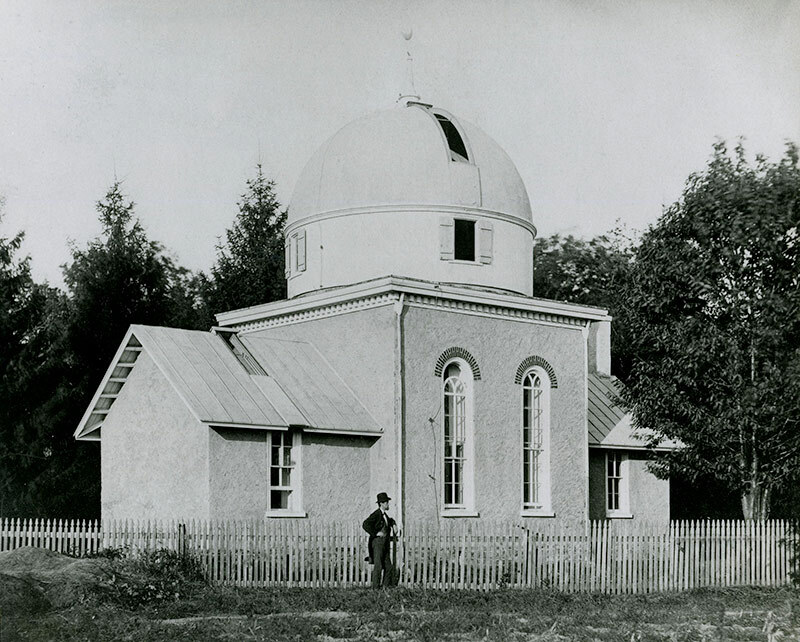 Furthermore, colleges did not advance the telescope until the late 19th century, when it was overdeveloped in its technology but under-employed in astronomical education. 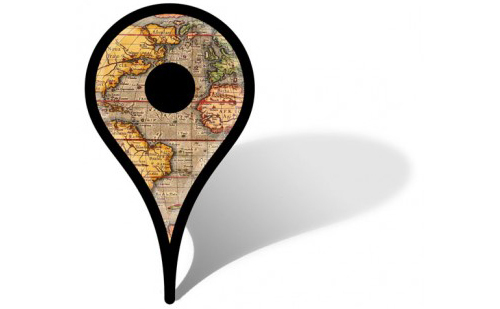 This exhibit explores the place of the telescope in these areas from the 1600s to the mid-nineteenth century. As a Miao scholar and photographer, Mr. Bode Wang has worked on a number of Miao cultural projects as a key member of Fenghuang County Cultural Relics Bureau. Concurrently serving as the head of Xiangxi Photographer Society, he has also devoted himself in promoting the understanding and appreciation of the landscape and culture of the Miao homeland with images. 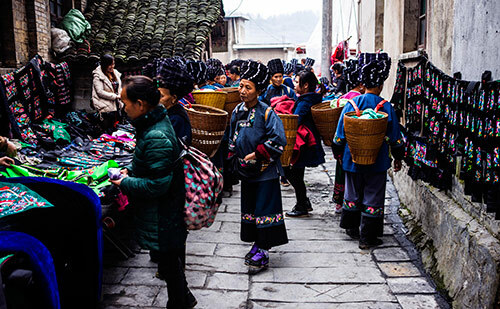 Through his lens, he illustrates a colorful and sophisticated world of the Miao nationality. On exhibition are a sampling of his photos, demonstrating the environment, human communities, social customs, and religious practices of his hometown. This exhibit is sponsored by the Luce Initiative on Asian Studies and the Environment (LIASE); Bi-Co East Asian Languages and Cultures Department; Bryn Mawr College 360 Program, Endowed Lectures Fund, Langlois Memorial Fund, Libraries, and Provost's Office; Swarthmore College Libraries and Modern Languages and Literatures Chinese Section; Haverford College Distinguished Visitors Program and Haverford Libraries. 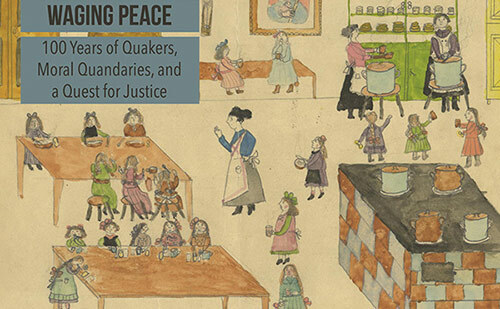 Waging Peace: Quakers, Moral Quandaries, and a Quest for Justice explores the work of the American Friends Service Committee, in its centennial year. This collaborative exhibit engages with critical issues around the ethics of service, what it means for an outsider to come in and provide "relief" and "aid," and the struggles around this issue. Turning towards the future, we continue to ask: What will it mean for the AFSC to continue into the next century? Ying Li has traveled great distances, both physically and mentally, to reach the intensity of expression that drives her observation-based art. Geographies surveys the past four years of work by the Chinese-born Li in a selection of more than 100 paintings and drawings on view at Haverford College, where she has taught since 1997. Displayed at Haverford’s Cantor Fitzgerald Gallery and Magill Library, these works—mainly landscapes and city scenes executed at her studio in New York’s Chelsea and at residencies in the U.S. and Europe—show Li taking her signature physicality of execution to new lengths. 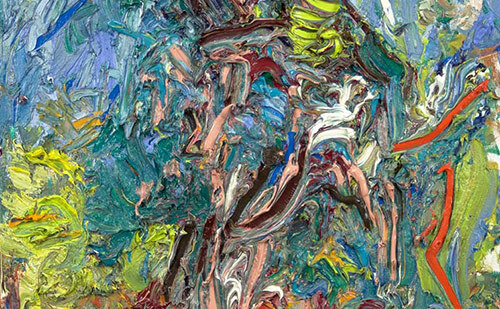 Squeezing paint directly from the tube onto the surface, raking it over the canvas with a palette knife, brushing it in staccato daubs, or overwriting it with swiftly gouged marks resembling urgent but unreadable text, Li pushes her images to the edge of coherence, an exhilarating position for both creator and viewer. This exhibition of photographs by Carl Van Vechten (1880–1964), a proponent of the avant-garde and African American cultural expression, features the complete set of 50 photogravures published in 1983 by the Eakins Press. 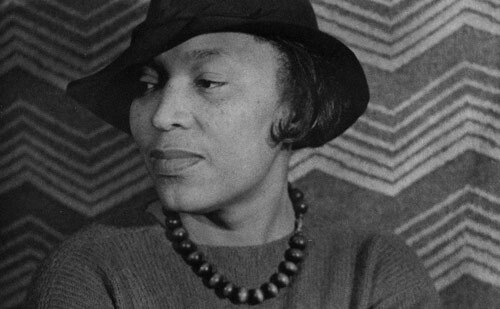 These photographs depict many of the leaders of African American culture and the Harlem Renaissance. The exhibition also includes a rich trove of books, letters, and related artwork by the men and women depicted in the photographs. Testimonies in Art & Action: Igniting Pacifism in the Face of Total War creates a historical juncture with our present moment, illuminating how philosophies of non-violence contained in art, literature, and action have been mobilized to stage a critical intervention in a progressively militarizing population. 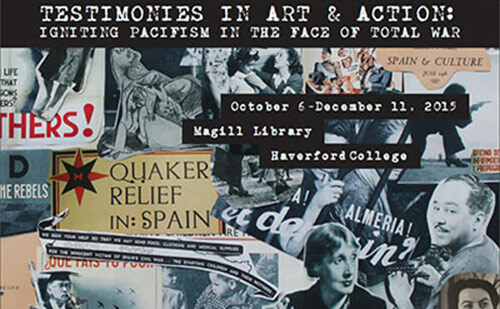 This exhibition juxtaposes primary source materials from the Quaker relief effort in Spain, much of which is from Haverford’s own Quaker & Special Collections, with student digital humanities projects that explore the peace testimonies embedded in the literature and art of the interwar period. In bringing together these multi-modal sources, this exhibition demonstrates the shared commitment to social justice and human rights that the pacifisms of the early twentieth century developed, particularly in the testimonial activism of the Society of Friends and public intellectuals. 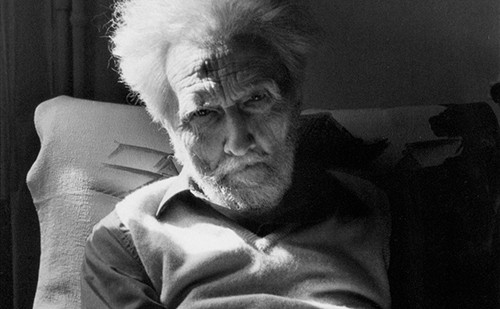 It aims to create a scholarly discussion focused on the themes of pacifism, activism, writing, and ethics; forms of resistance to total war; and social justice during the interwar period; and it demonstrates the interrelationship between "positive peace," pacifism, and social justice. 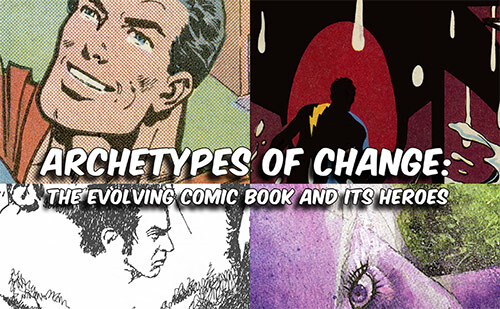 Archetypes of Change: The Evolving Comic Book and Its Heroes explores the evolution of the comic book between the late 1930s and 1990s through the changing characteristics of its heroes. Using Northrop Frye's "theory of myths," the exhibit classifies four narrative forms—romance, tragedy, irony/satire, and comedy—that provide a framework for understanding how changes in the role and persona of the comic book hero are shaped by larger cultural and political shifts. Through this framework, the exhibit traces a move from Cold War-era hegemonic norms to a more pluralistic approach that challenges rather than reaffirms those norms. Visitors to the exhibit will have the opportunity to enact this turn by "writing" their own comics using colorforms. The exhibit draws from Haverford's student-run comic book collection (housed in Magill Library). In collaboration with Bret Mulligan's Tales of Troy class, Special Collections is displaying Greek vases and modern prints. 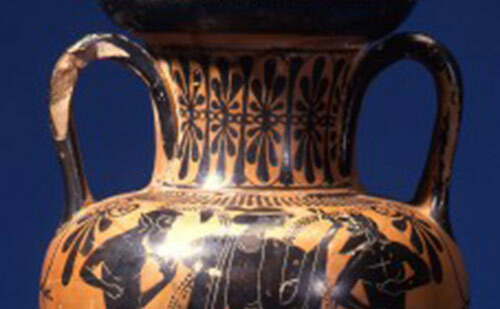 The Greek vases come from the Allen collection, and feature scenes from the Iliad and Greek life. The prints are from a series called "Flight," produced to raise funds for the International Rescue Committee. The prints are on the subject of refugee flight, specifically Aeneas fleeing the burning city of Troy. 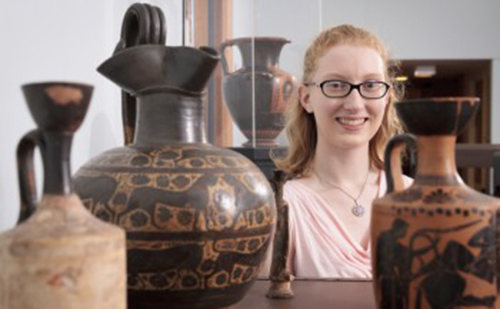 The exhibition features Haverford's collection of Ancient Greek vases, donated by Ernest Allen '40, and explores Ancient Greek artistic nature and aspects of collecting and the antiquities trade. 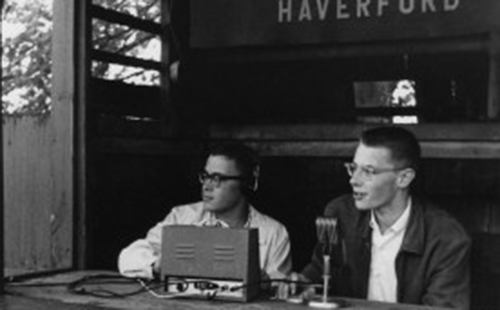 This exhibit explores the origins and trajectory of radio broadcasting at Haverford, beginning in 1923 with live performances, through its many iterations and ups and downs, to a newly reenergized and relaunched web-based collective of audio content and multimedia generated by the Bi-Co community. As Crow Flies Counterclockwise tells a story of the Lenape (the traditional people of eastern Pennsylvania and southern New York and New Jersey) from before European settlement in the 17th century through the resulting death and destruction, up to the more recent resurgence of Lenape culture and traditions in our region. 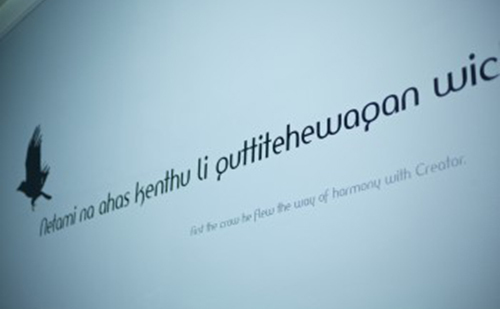 In doing so, the exhibition offers a meditation on encounter and connection, language and translation, loss and remembering. 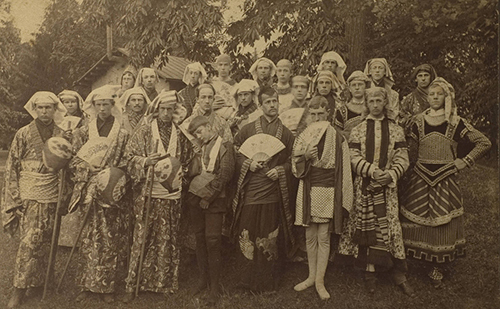 Beyond the Margin explores the history of Haverford's student reading communities and rituals. 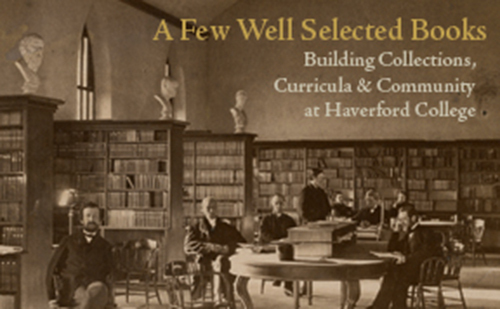 From the early Quaker foundations to 19th century student literary societies, the exhibit traces the curricular and co-curricular reading experiences of Haverford students. What did students read in 1885? How were the literary societies crucial to the development of student leadership? Why did students perform an end of the year ritual? 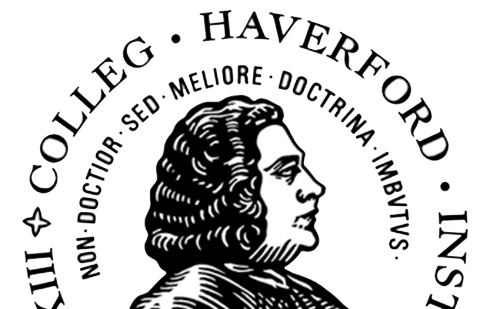 We invite you to visit the exhibit, consider these questions, and reflect on the continuities and divergences in Haverford's history through the lens of its reading communities. 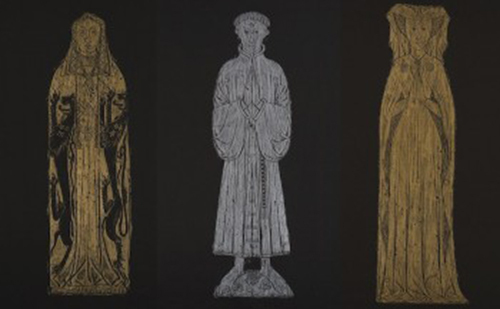 The Lasting Impressions exhibition explores three major functions of brasses as represented in the rubbings: to elicit prayers for the soul of the deceased, to preserve familial memory, and, finally, to attest to the person's social status and accomplishments. The rubbings were the gift of Maxine and David Cook and the exhibition was presented in honor of the inauguration of Haverford president Dan Weiss. In addition to the brass rubbings the exhibit also featured medieval and early modern material from Haverford, Bryn Mawr and Swarthmore special collections. 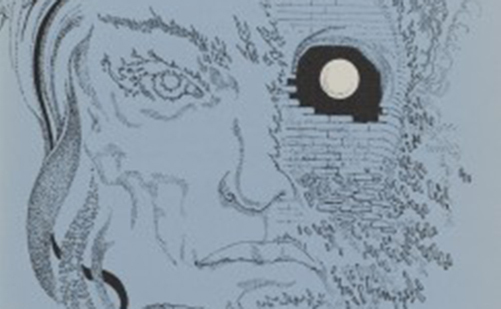 This exhibit celebrates Professor Maud Burnett McInerney's gift of books written, illustrated, and published by her late father, Virgil Burnett (1928–2012). 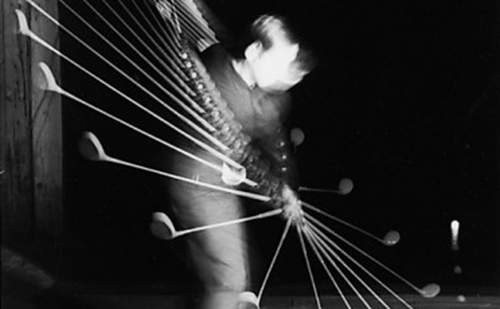 Thematic to the US golf open that was occurring simultaneously and within close proximity, this exhibit of 20 photographs compared the work of Harold Edgerton and Walker Evans and their photographs of golf..
"Who Killed Sarah Stout?" is an exhibit about the Trial of Spencer Cowper in 1699. 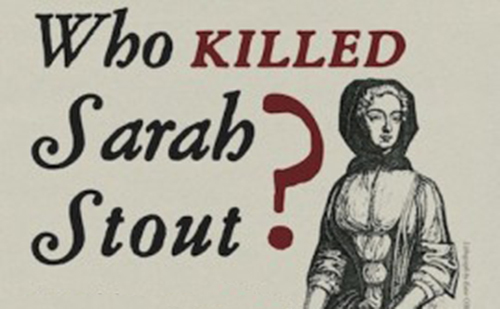 Sarah Stout was an independent and wealthy Quaker woman from the 17th century who was murdered. This exhibition "reopened" the case and used location-based gaming to solve the case and featured a mobile technology component as well as a physical exhibition. The exhibition highlighted the works of masters of photography and examines several distinct ways of seeing that emerged in twentieth century photography. 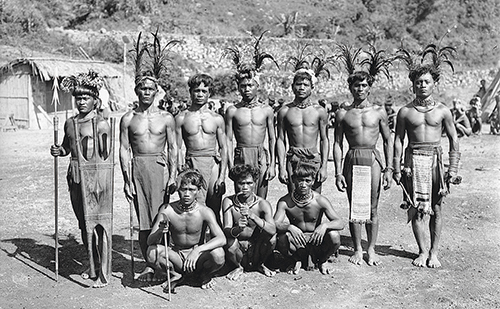 This exhibit seeks to recover and fracture the conflation between sight and belief so important to American colonial arguments about the Philippines. Drawing heavily on material from the College Archives, the exhibit featured examples of senior capstone experiences over time, from the orations given by graduating seniors in the College's earliest years, to the start of senior theses in 1897, and art exhibits, musical compositions, and electronic theses of today. A small exhibit mounted in the Alcove Gallery in support of Bret Mulligan's course, "Tales of Troy." 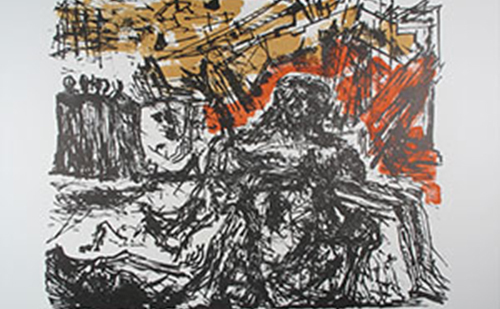 This included selections from our collection of Greek antiquities, the modern series of prints called "Flight," as well as a video installation of the video "Achilles in Vietnam." The maps in this exhibition, selected and interpreted by members of the Haverford community including students, faculty, staff, and alums, served to constitute "geography of our community, bringing into relief relationships between our scholarly pursuits, our personal interests, and even our creative styles." This exhibition, coinciding with the 400th anniversary of the creation of the King James Bible, brought together a selection of rare and unique bibles from the collection dating from the mid-13th century to the 20th century and told stories of the development of language, the movement of people, the history of technology, the wielding of power, and the transmission of culture. 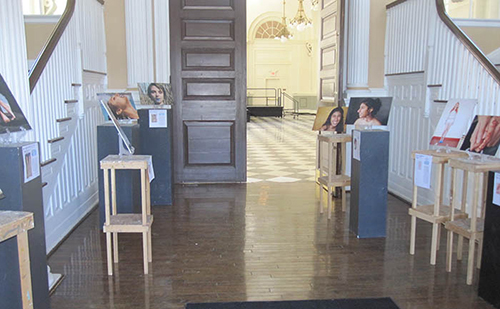 This exhibit featured photography from female students in the bi-co. 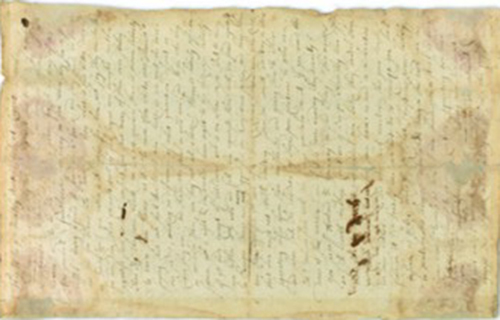 This exhibit featured such notable documents as the 1688 Germantown Protest and the 1696 Cadwalder Morgan Protest, tracts by Quaker abolitionists including Ralph Sandiford, Benjamin Lay, John Woolman and Anthony Benezet, and evidence of Quaker slave ownership in the form of manumissions and meeting minutes. 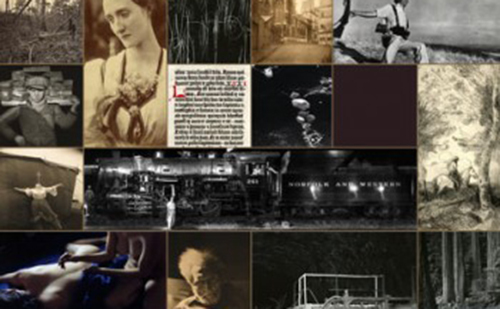 This exhibition simultaneously explored the history of the medium while it also provided a peek into the richness of the photography and related Special Collections at Haverford College. 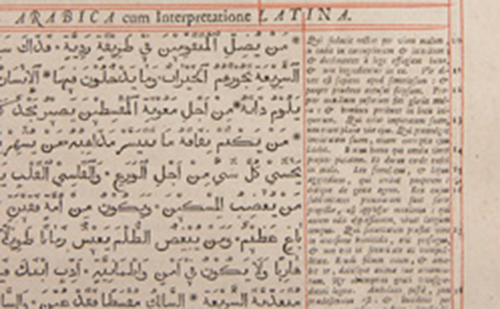 This exhibition tells the story of the first "few well-chosen books" in the Haverford Libraries and honors those who have been responsible for growing this corpus into today's wide-ranging collections. 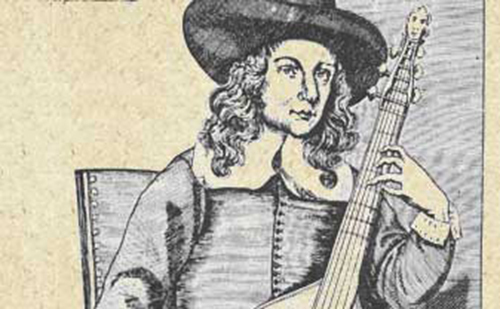 This exhibit examines the complex relationship between music and Quakerism from the founding of the movement to its present.